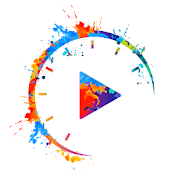 Efectum – Video Editor App allows you to edit videos from your gallery or capture from the app and publish on Android. Get this mighty yet easy-to-use film maker for sharing on Facebook, Instagram, inShot, Go Pro, Wasap, Splice, YouTube, Twitter, Telegram, Vimeo and more. Started by sanjames Computer Related Help? Page created in 0.309 seconds with 39 queries.